Anthony Joshua delivered a stunning knockout victory to defend his titles and send a warning to Deontay Wilder and anyone who doubts his credentials as a true heavyweight champion. It was a crucial night for AJ as he faced the hard hitting and controversial Russian Alexander Povetkin. 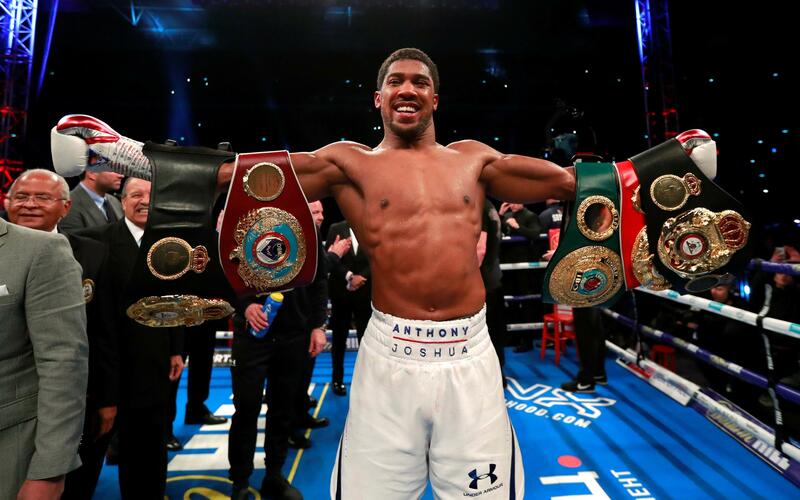 Following the breakdown in talks for a unification bout with Deontay Wilder, Joshua had to get passed a dangerous mandatory title defence and show his seriousness to the rest of the heavyweight division. Another big crowd crammed into Wembley again to see the fighting pride of the UK defend his titles and add a fresh scalp to his every growing list of victims. The fans were in fine voice as per usual with the traditional rendition of Sweet Caroline before the ring walks. Povetkin was given a hostile reception by the home crowd with many fans, experts and professionals feeling the Russian did not deserve such a big opportunity due to his previous two doping bans. Joshua looked calm and relaxed as he acknowledged the crowd on his way to the ring. It was a tentative start to proceedings with both fighters trying to feel their way in the bout. As the first round came to a close Povetkin caught Joshua with a quick attack causing him to stumble just as the bell rang. This was not part of the script. AJ’s nose was bleeding heavily as the second round began and this spurred Povetkin to carry on his onslaught leaving the Wembley crowd shocked by the dominance of the Russian. More and more big overhand rights were getting through Joshua’s defence. It was clear that Povetkin’s tactics were to throw big shots and score an early knockout. During the third Joshua seemed to finally shake off his stunned state and get his jab working. He kept the challenger at a distance and started to connect with some excellent shots and really put his credentials on show. The fourth round was where the momentum shifted in Joshua’s favour. An accidently elbow from AJ cut Povetkin above his left eye, this caused blood to stream from the Russians face and gave Joshua a target to aim for. AJ controlled the fight from this point utilising his jab to great effect. By the time we arrived in the sixth, age had caught up with Povetkin. The thirty nine year old was starting to look tired, his previously accurate power shots were getting wild and reckless, leaving himself open to big counter shots from Joshua. His hopes of scoring an early knockout were over and this added to the fatigue the Russian was feeling. 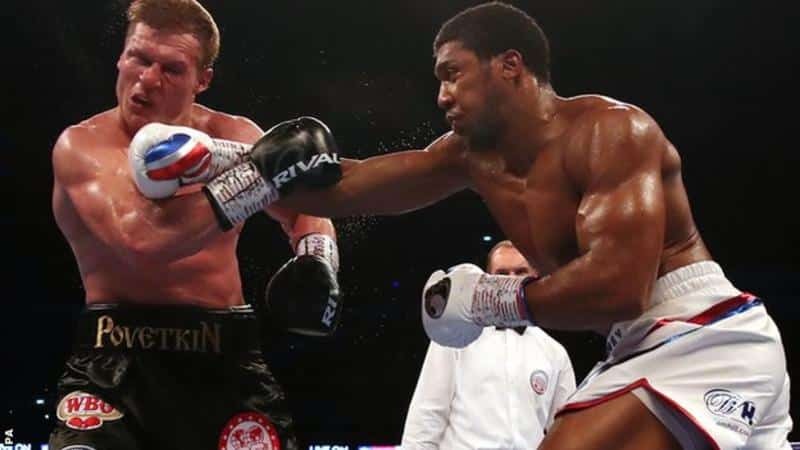 Joshua took his moment in the seventh as the champion unloaded on Povetkin, connecting with a vicious uppercut to the body and then a quick and powerful left and right to the Russians head sending him sprawling to the canvas. The man who cannot be stopped looked out for the count as he found himself caught in the ropes desperately trying to get to his feet. Huge credit to Povetkin as he beat the count, but he did not look in good shape. Joshua jumped straight back into the assault pinning him to the ropes with punch after punch before the referee dived in to stop the fight one minute and fifty nine seconds into the seventh round. The message had to be loud and clear from Joshua and it was that and more. The last time Povetkin lost was five years ago, and despite being knocked down four times by Klitschko it had to be decided by the judges, so for Joshua to knock him out was a huge warning sign. It was an explosive and exciting performance from AJ showing all the technical attributes he has in his locker. He displayed superb resilience to overcome some powerful shots early in the fight, recovering by the third round to go and dominate and score the knockout. With Tyson Fury two fights into his comeback and lined up to fight the WBC champion Deontay Wilder in December it was important for Joshua to avoid upset in the mandatory defence. Having dispatched of the gritty Russian he sent a stark reminder to the rest of the heavyweight decision that he is the golden boy and the real man to beat. Wembley is booked for Joshua in April next year but his opponent is still to be decided. The result of Wilder v Fury could result in the winner meeting Joshua for a unification bout or the much improved Dillian Whyte could be in line for a rematch. We wait with baited breath for any announcements.